This is the first time that I will copy a complete text from someone else into a posting. And why not if it's interesting? I received the message per e-mail from the world's biggest en primeur buyer Berry Bros. & Rudd in the United Kingdom. Besides that they have many great names from Burgundy in their portfolio, and I am proud to share with them the import of Arnaud Ente (Meursault) and David Clark (Morey-Saint-Denis). 9th February 2010 ... Early indications show Bordeaux 2009 could be a spectacular vintage, says Berrys’ Sales Director Simon Staples, who has had exclusive access to some of the wines. Simon Staples and Berrys’ Bordeaux Buyer Max Lalondrelle tasted some “brilliant” finished wines and barrel samples, but will leave their final verdict on the 2009 vintage until the main en primeur tastings next month. Simon says the wines they tasted at Ch. Giscours were breathtaking and those from Cos d’Estournel were as good as 2005. “Both the Grand Vin and Pagodes de Cos were sublime. Cos itself was every bit as spectacular as the magnificent 2005, perhaps a tad fatter but with brilliant balance. Pagodes, with almost half the Grand Vin declassified into it, is off the scale. 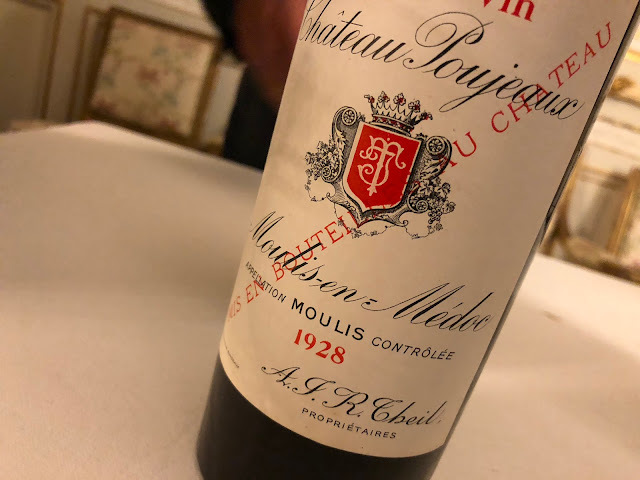 Without question the most impressive Pagodes I have ever tried and if you didn't have the Grand Vin to compare it with you'd say it was a great Cos! !” says Simon who adds that General Manager, Jean-Guillaume, believes his second wine could rival many of his Grand Vin from years gone by. “And Alexander van Beek of the ever improving Chateau du Tertre and the very famous Chateau Giscours, proclaims his 2009 wines are the finest he has ever produced in his 13 years of managing them,” explains Simon. Reluctant to speculate about pricing, Simon says it’s already clear to him that 2009 won’t be cheap. This year’s team of six Berrys’ experts will kick off the week-long tasting on 29th March. A further nine salesman from Berry Bros. & Rudd in the UK will travel to Bordeaux on 11th April. The following week another nine staff from Berrys in Hong Kong and Japan will also taste the wines. For the inside track on Bordeaux 2009 follow Simon Staples on Twitter and visit Berrys’ Wine Blog www.bbr.com/blog for news, information, images and videos from Berrys’ team of experts and Bordeaux producers. It won't surprise you that I am looking forward to tasting the wines myself during the Bordeaux 2009 primeurs week (29 March - 2 April). Nice detail: that week we will be staying at the guest house of "the very famous" Château Giscours!